It took 40 quarters and two overtime periods. A combined 618 minutes. But the 49ers have finally done it — earned a victory. 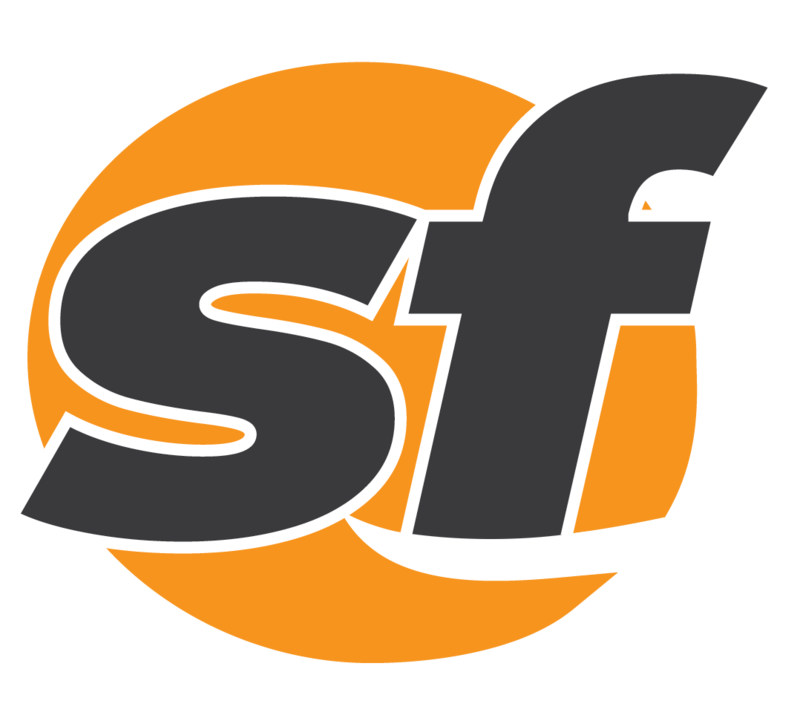 In a game in which neither team could find any traction on defense for the majority of the afternoon, San Francisco (1-9) picked up their first win of the season, outworking the New York Giants (1-8) and riding the outburst of their offense to a 31-21 triumph in Santa Clara. Entering the Week 10 matchup featuring two of the worst teams in the league, combining for a 1-16 record before kickoff, the stage had been set for a defensive struggle — more about the lack of offense than the ability to lock a team down with dominant defense. 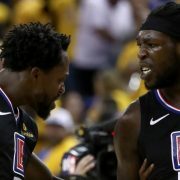 Contrary to that expectation, it became very clear that rather than a defensive struggle both defenses would just struggle. And it became clear almost immediately when Carlos Hyde took the first snap of the afternoon 28 yards on the ground before being hit out of bounds for a 15-yard penalty to boot. 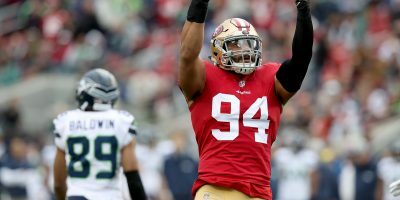 After having to settle for a field goal on what had been a promising drive, the 49ers defense took the field and were met with many of the same issues that befell the Giant defense. With a hobbled secondary and a depleted defensive line, the 49ers gave up a field goal of their own to the Giants offense who exploited the lack of pass rush and quality coverage down field. 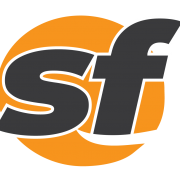 Much of San Francisco’s defensive woes became especially evident in critical third-down scenarios after they were able to force the Giants into scenarios where they had to convert. 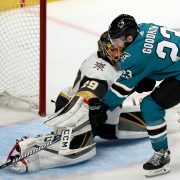 Entering the afternoon ranked 24th in third down conversions with a 35 percent conversion rate, New York was able to forget their troubles and move the chains at a 50-percent clip (5-of-10) on those crucial downs. With their defense reeling, though holding the Giants to 13 first-half points, the 49ers offense capitalized for the first win of Shanahan’s career. Amid expectations that he would be replaced following a Week 11 bye, rookie quarterback C.J. Beathard took it upon himself to silence the critics and show exactly what he was capable of given time in the pocket. 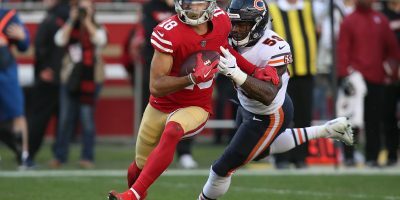 After a Matt Breida first down run was called back due to a Marquise Goodwin holding call, Beathard gave the first-year 49er wide out a chance to redeem himself by taking a shot down field to the speedster and connecting for an 83-yard touchdown, the 49ers’ longest scoring play of the season. 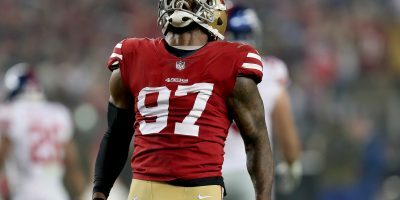 The very next possession, after the 49ers defense let the Giants answer with a touchdown of their own, Beathard led the offense on a two-minute drill in hopes of regaining the lead before the end of the first half. 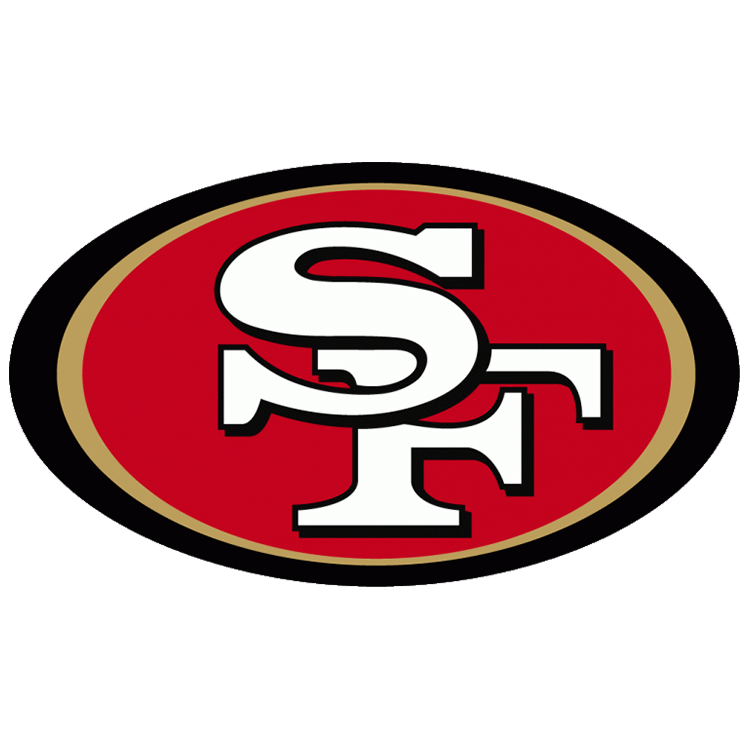 Letting his tight end do most of the work, Beathard hooked up with Garrett Celek who put a nifty move on Giants cornerback Janoris Jenkins to get to the end zone and give the 49ers their first halftime lead of the season as they headed into the locker room up 17-13. Along with Celek’s play, Beathard would finish his best day as a pro completing 19 out of his 25 passing attempts for 288 yards and two airborne touchdowns, adding another on an 11-yard scamper for what proved to be the game-winner early in the fourth. 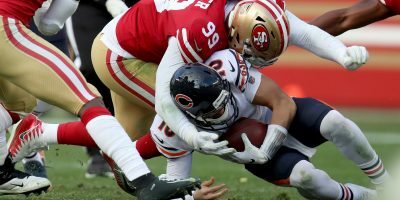 Coming out of the break, the 49ers defense finally decided to put forth some resistance as it was able to pitch a near shutout for the rest of the game slamming the door on Eli Manning and the rest of the Giants who hoped to mount a second-half comeback. 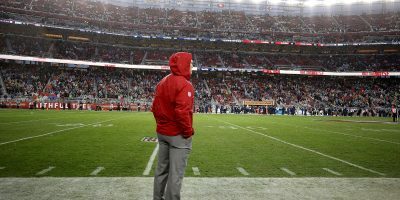 Instead, the 49ers would add to their lead by tacking on two rushing touchdowns in the fourth quarter while allowing only one New York score for the rest of the game. The winner from Beathard was bolstered by Breida’s sealer with just over nine minutes remaining. Rather than fall to 0-10 and in danger of a disastrous 0-16, the 49ers will head into the bye week on a much more positive note having a taste of victory and something upon which to build for the last six games of the season. 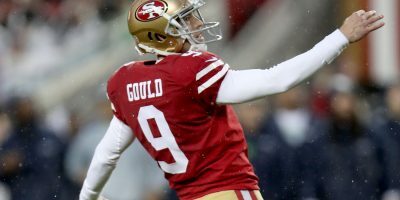 The question now comes as to who will start at quarterback after Shanahan alluded to a possible change coming out of the bye. 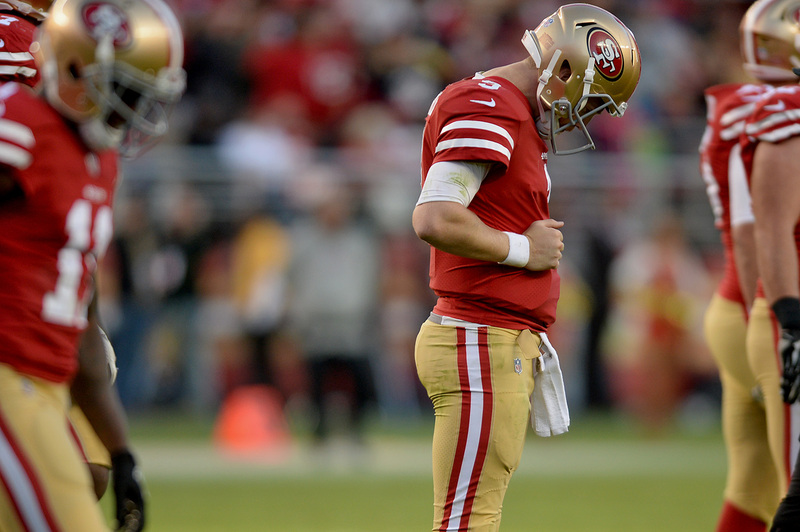 Considering Beathard’s statement of a game, the decision to change the starting line up will be much harder for Shanahan. Surely, he’d rather be making the call with a win under his belt compared to the latter.